A Marvel Studios leak may have revealed the logo for the next Avengers film: Avengers 4. Posted on The Geek Powers Instagram feed they say "A Marvel Studios light control worker could have revealed the official logo from #Avengers4". This could be the working title of the film or it could be Marvel trolling fans. Again. Either way, it's a pretty good looking, albeit boring logo. The name "The Infinity Gauntlet" was a six-issue limited series from 1991 that shows Thanos collecting the Infinity Gems. The titles of the sequels were "The Infinity War" (1992) and "The Infinity Crusade" (1993). 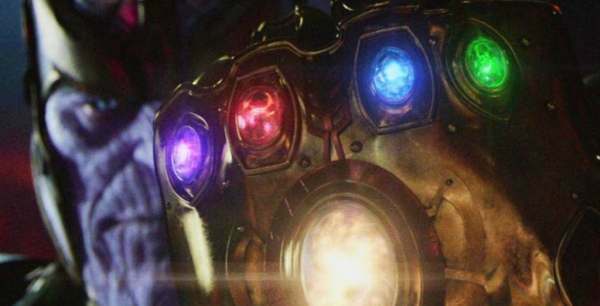 If they used the title "Infinity Gauntlet" it would have been a reversal of the name "Avengers: Infinity War". While we don't know the official title the directors have said that the title is a "spoiler". They told Bustle that "We do have a name for it, we're just not announcing it. And I think we came to that name fairly early in the development process. It speaks to the heart of the story." This follows after the release of what is supposedly the first synopsis for "Avengers 4": "A culmination of 22 interconnected films the fourth installment of the Avengers saga will draw audiences to witness the turning point of this epic journey. Our beloved heroes will truly understand how fragile this reality is and the sacrifices that must be made to uphold it"
What do you think the name means?